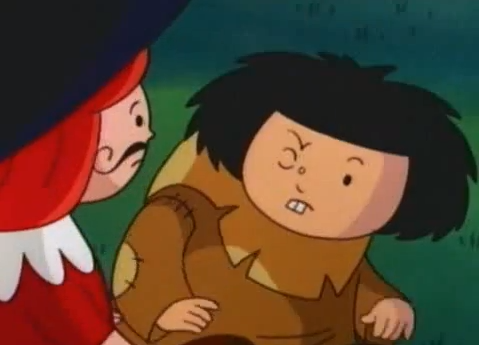 What can I saw about the Madeline episode that features a meager attempt to reference the Hunchback of Notre Dame? It’s a lazy, confused mess that would rather talk about writing even though the people who wrote it don’t know the first thing about writing. It’s not charming, cute or insightful. It is weak and torture to watch and I didn’t care for it on any level. Next Hunchback version after a short Winter Break. If you have a suggestions, let me know because I haven’t made up my mind yet. I’d really like to see “The Secret of the Hunchback” reviewed because it seems to be such a weird movie. I will get to that one very soon. I promise, maybe after the 1997 version. How about the 1986 animated version. It costs a penny on amazon so really there’s nothing to lose except time and energy. Or maybe a special post about what little is known of the lost hunchback films.